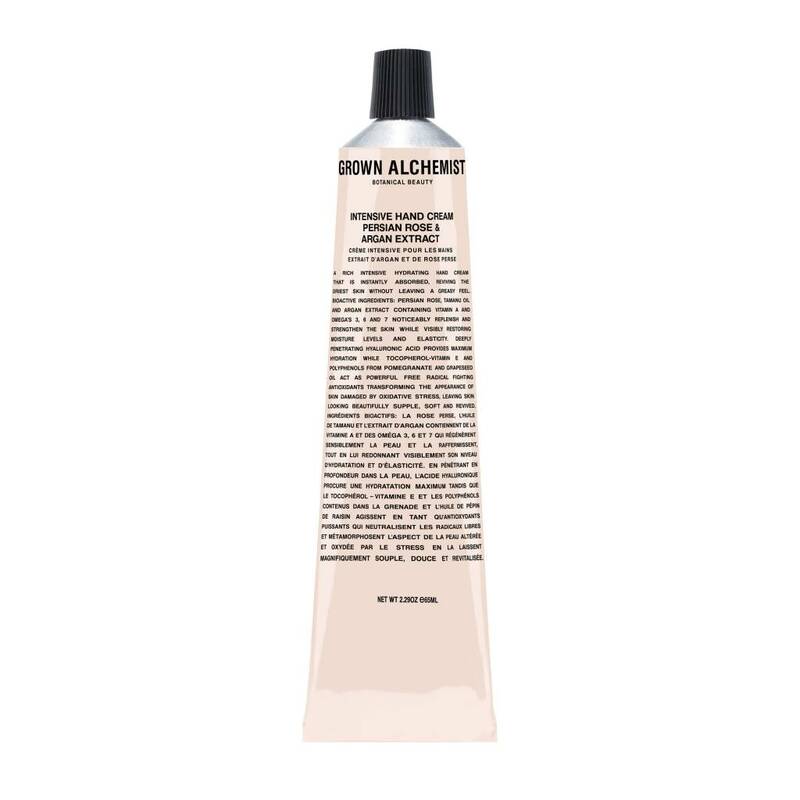 Grown Alchemist's best selling item is a rich intensive hydrating hand cream that is instantly absorbed reviving the driest skin without leaving a greasy feel. Desert dwellers take note! Persian Rose, Tamanu Oil and Argan extract containing Vitamin A and Omega's.